We offer high grade of Industrial Slotting Machine, which find their extensive usage in several industries for perfect slotting & planning of materials. It is due to its significant features such as durability, spontaneous functional ability and sturdy structure that it attains a tremendous utilitarian value. This comprehensive array is easily accessible & is also modulated as per the details specified by the clients. 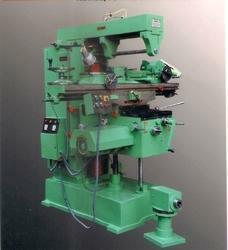 We are offering All Geared Vertical Milling Machine fully automatic machine with the control panel. We provide Knee Type Milling Machine that is characterized with several developed features which assures utmost work efficiency & outstanding productivity. 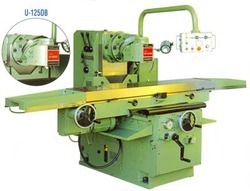 Known for its compact design, this machine is easy to handle as well as to maintain. 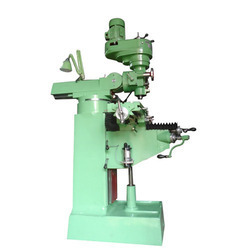 The varied accessories and components of these machinery are made up-of high grade raw material like cast iron, stainless steel and many more. Machines are designed according to the International standards, proven technology and using first class material for the manufacturing process. 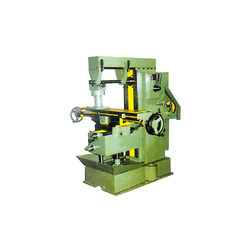 We are foremost suppliers of Vertical Milling Machine/MTR, which are fabricated by us with absolute perfection. While manufacturing this machine we maintain its surpassing quality which successfully meets the international industrial standard. 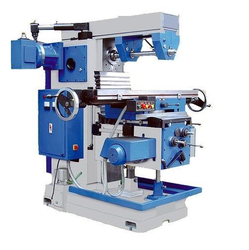 The vertical milling machines that we produce are widely accepted because of their certain significant features such as its enduring working life, spontaneous performance, and rapid traversing quality. We offer the wide range of All Geared Universal Milling Machine that is appreciated among the clients for easy installation and seamless performance. Our entire product range has high tensile strength and is delivered in varied calibrations. Our entire product range is delivered in well-defined time frame thereby catering diverse requirements of the clients.